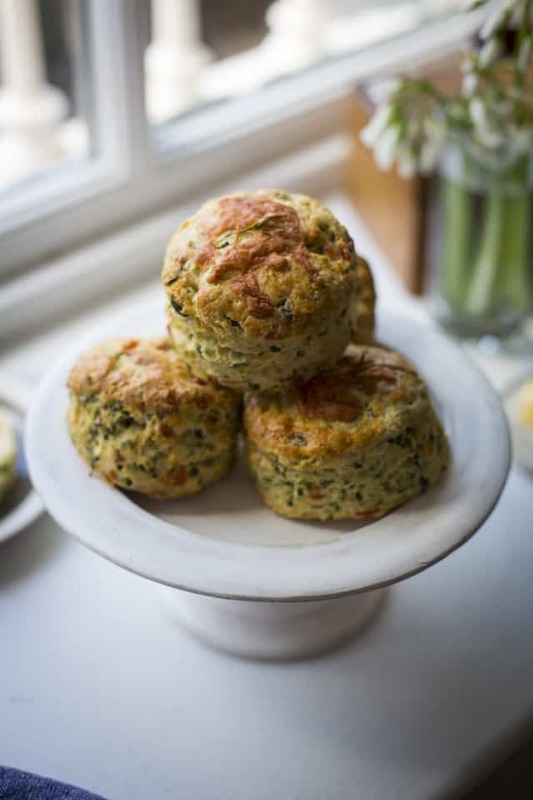 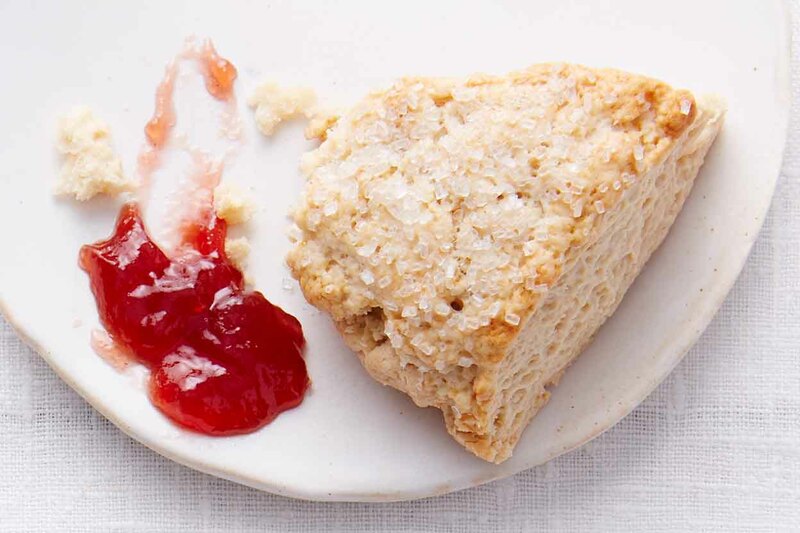 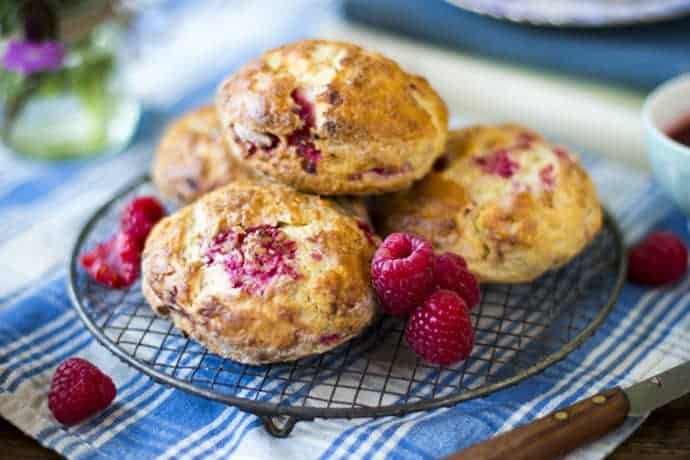 If you’re looking for scones recipes… you’ve come to the right place. 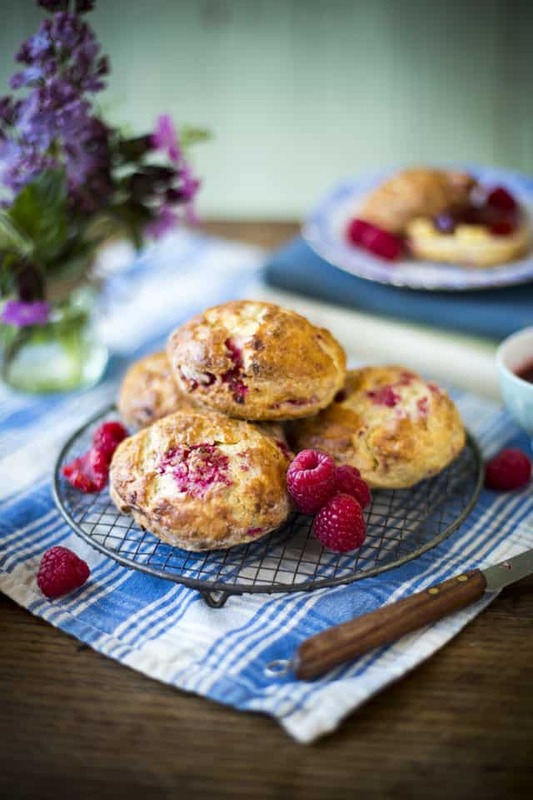 Scones are, after all, the very essence of an afternoon tea. 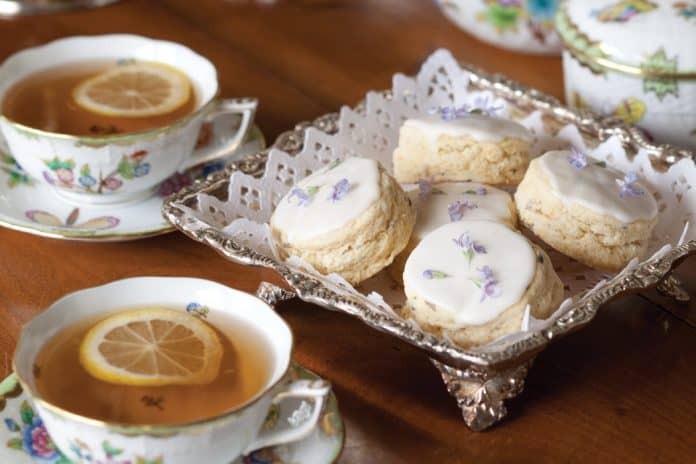 With a tea course entirely dedicated to itself. 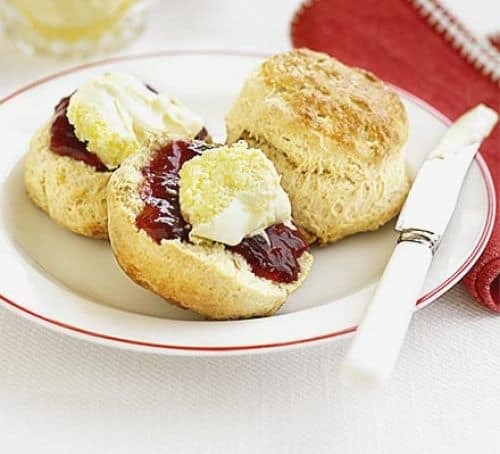 In fact, if you serve nothing else at your tea, serve scones. 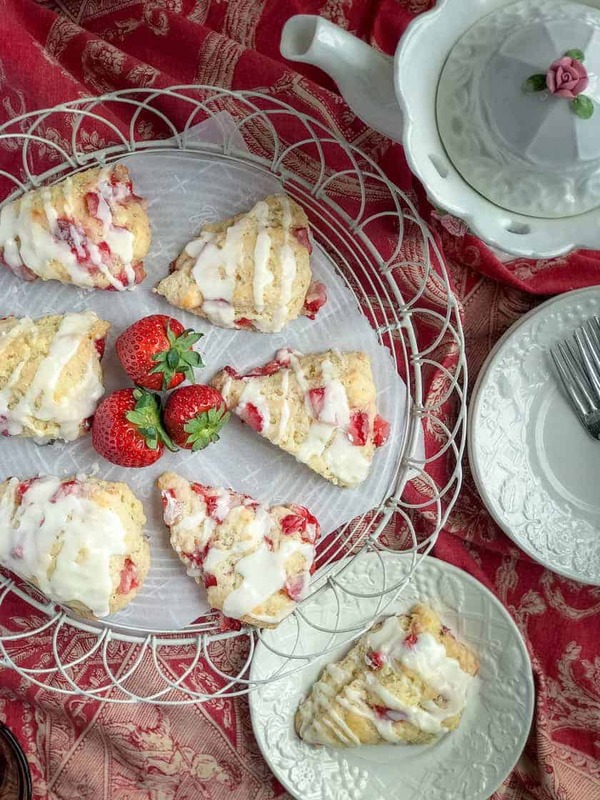 We’ve gathered our favorite “perfect” scones recipes that transcend seasons, are both savory and sweet, and incredibly delicious. 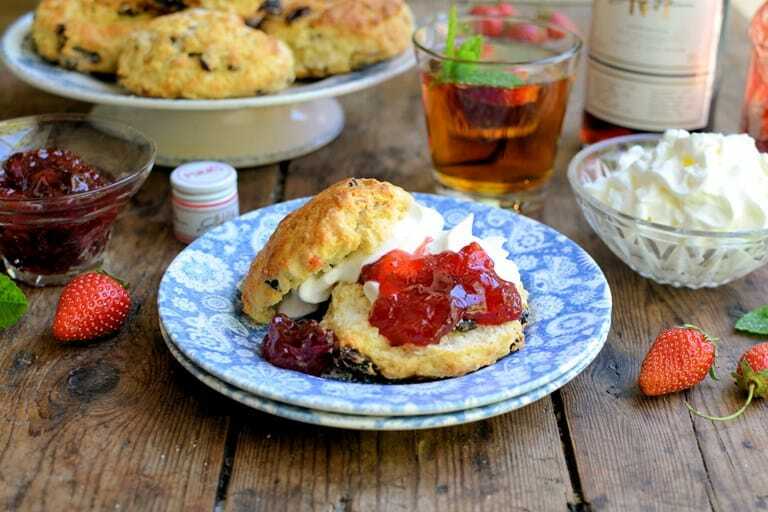 There is a debate among afternoon tea aficionados. 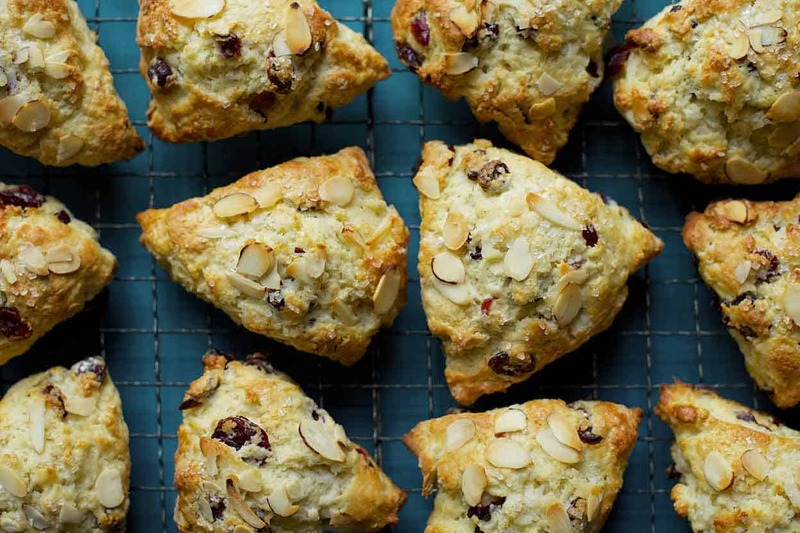 And it’s about scones. 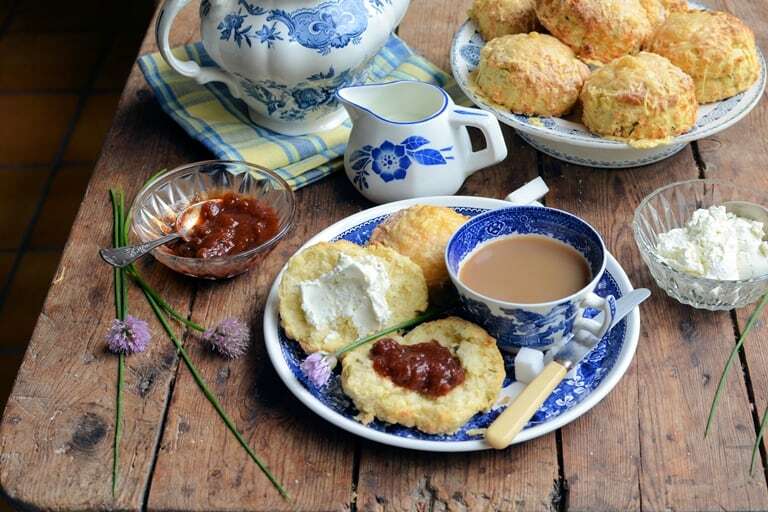 Specifically British style scones and American style scones. 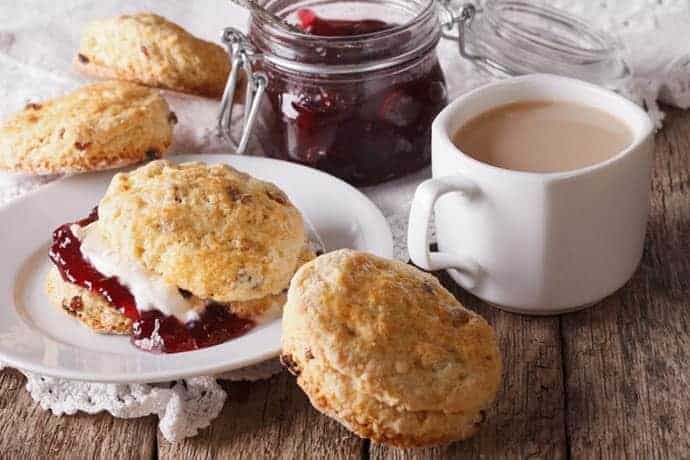 What is the Difference Between British Scones and American Scones? 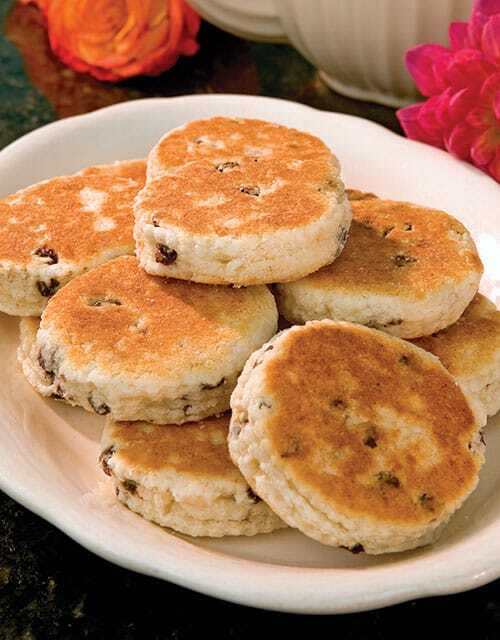 I’ll let you decide which recipes are biscuit-y and which are not. 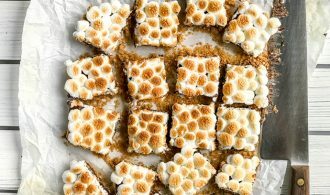 To me… they’re all incredibly delicious! 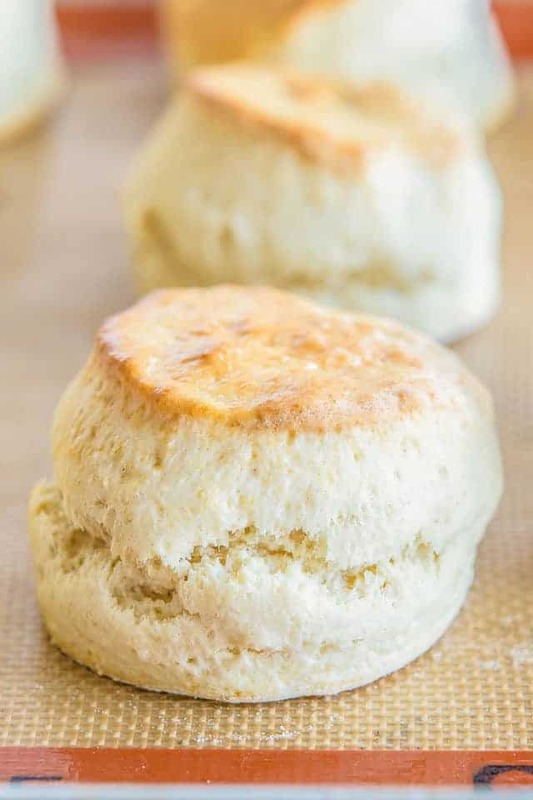 Scones can be frozen either baked or unbaked. 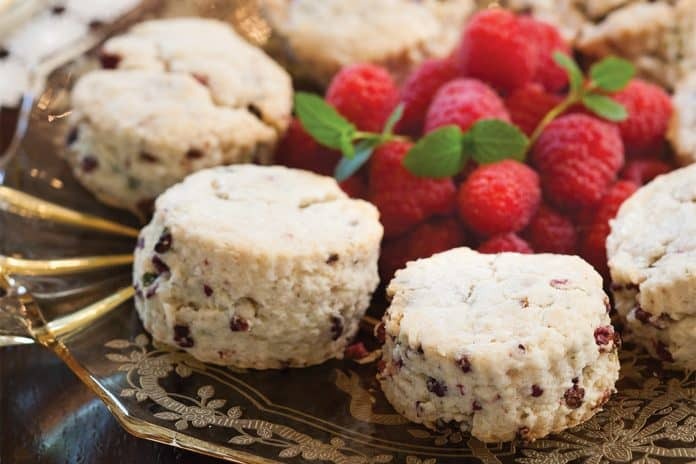 For baked scones, place them in resealable freezer bags, squeeze out the excess air, and freeze. 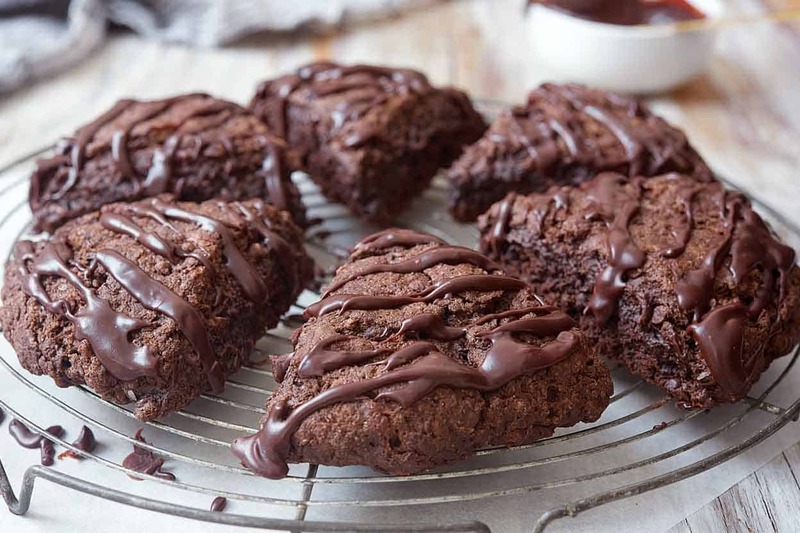 To reheat, bake at 350 degrees F for about 10 minutes. 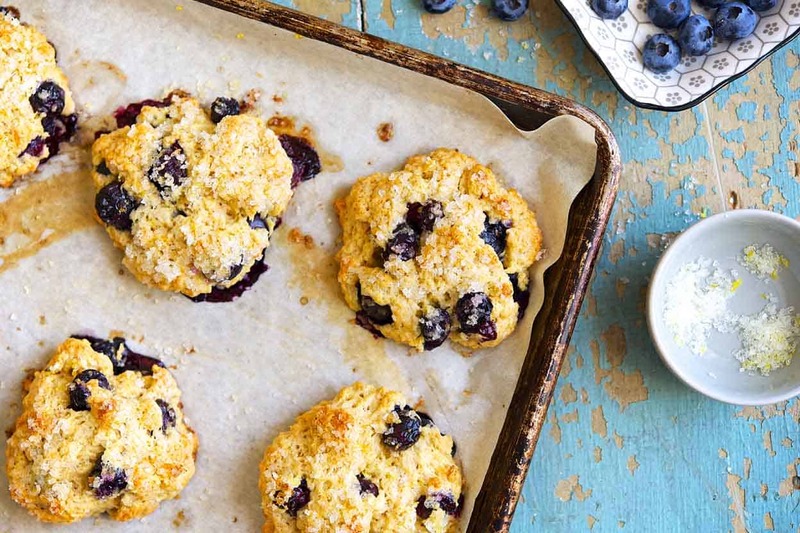 For unbaked scones, partially freeze on a baking sheet before placing them in a resealable freezer bag in the freezer. 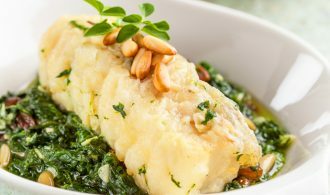 When ready to serve, bake at 400 degrees F for 17 to 20 minutes, or according to recipe instructions, plus a couple of extra minutes. 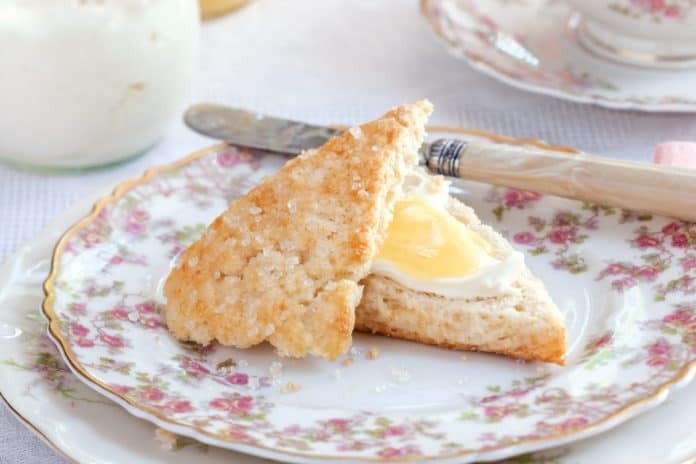 Traditional British, cream style scones. 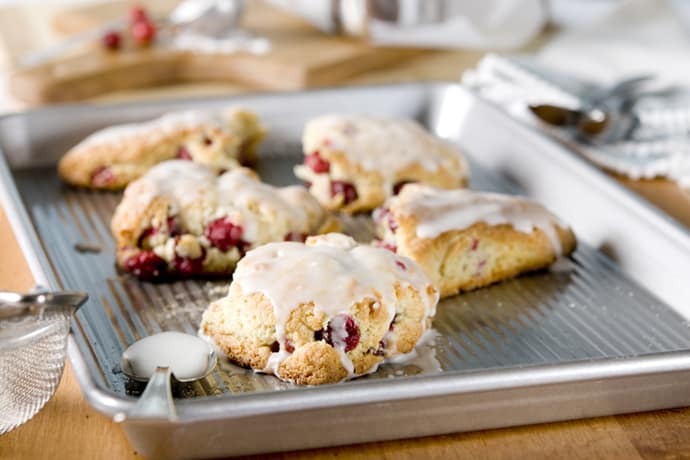 A cozy treat, filled with the perfect complementary flavors of cranberry and ginger.